What's cookin' this week? Oh, nothing. We're saying hurraw for raw. Simple and light, our raw pad thai offers a balance of crunch and flavor. 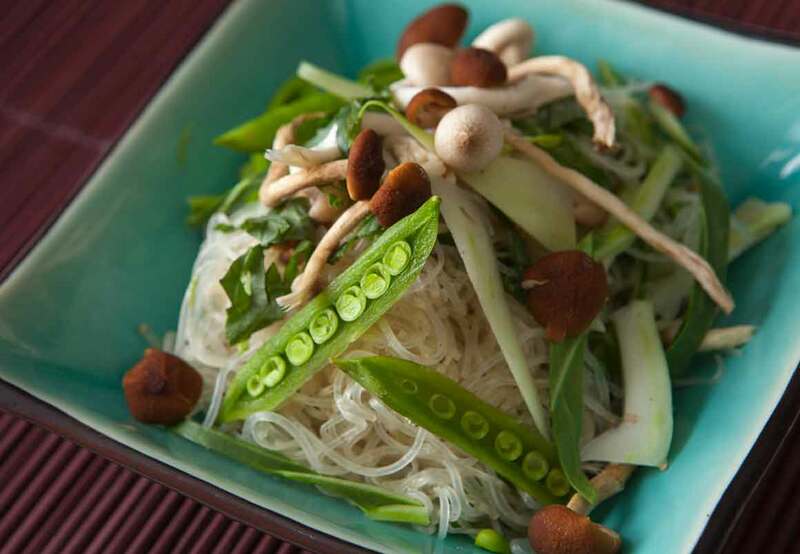 It’s made with kelp noodles, which have a neutral flavor and firm crunchy texture, and is dressed with hints of coconut, almond, lime and jalapeño, which make for a refreshing dish! Marin County based Navitas Naturals is a company of choice offering a wide array of certified organic superfoods! With the mission to provide premium functional foods to increase energy and promote health, they stress the importance of the integrity of foods we eat. All Navitas Naturals products are organic and non-GMO verified. Additionally, they use methods such as freeze-drying and low temperature processing to ensure maximum nutrition and flavor. 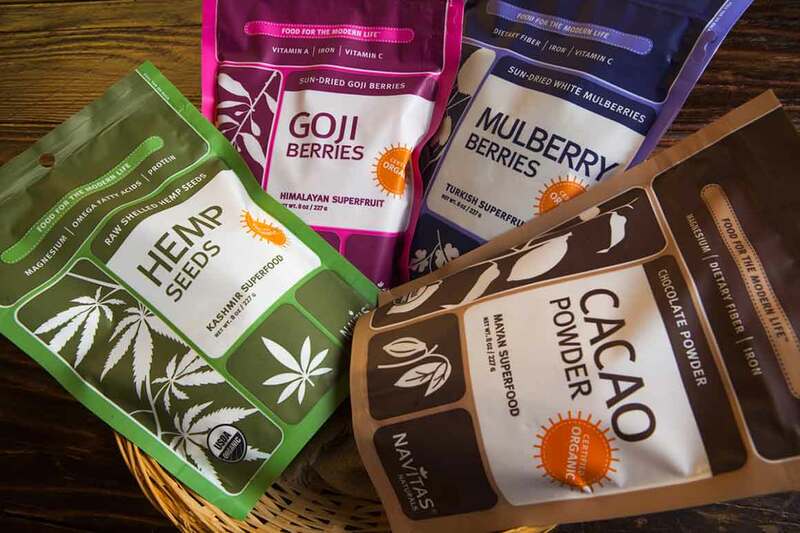 We love their Cacao Powder, Goji Berries, Mulberry Berries and Hemp Seeds! Kick-start the day with intention, Living Intentions that is! This Richmond, CA based company believes making healthy food choices should be easy, effortless and full of the flavors we love. They offer a wide variety of fun raw foods, such as sprouted seeds, trail mix and superfood cereal. Their raw superfood cereal is a favorite. Every bite brings a burst of flavor to the morning and nourishment to the body! 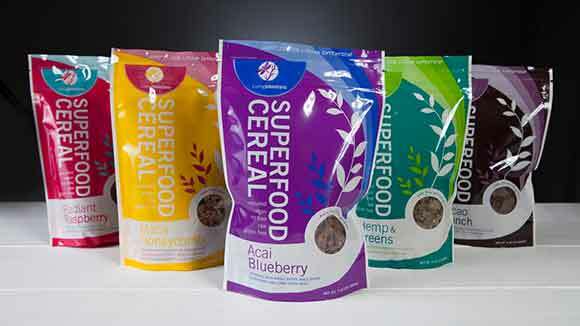 These cereals are sprouted, gluten free, dairy free, nut free and packed with nutrients. Hurraw! 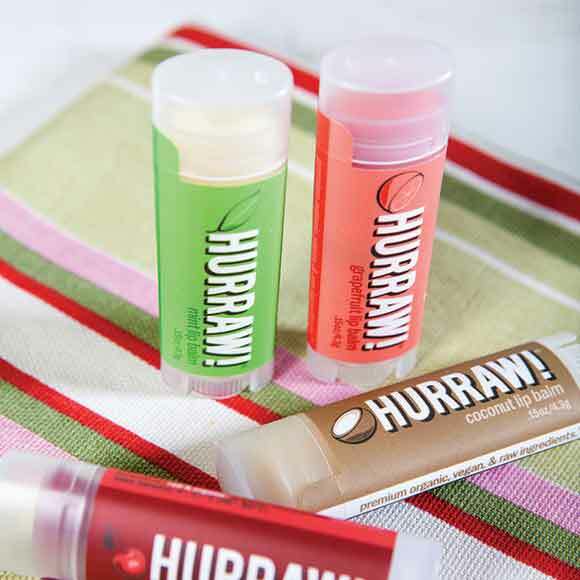 Lip Balms are all natural, vegan, gluten free, non-GMO, made from premium raw, organic, and fair trade ingredients AND come in a variety of delicious flavors! They go on like butter and offer the moisturizing protection of a lip balm, but the appearance of a dewy gloss. 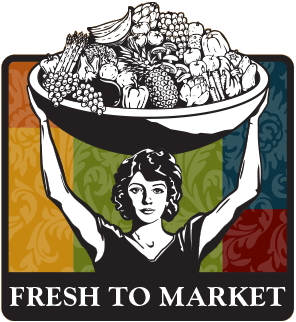 The premise of raw cuisine is simple: eat whole fresh unheated foods, primarily nuts, seeds, fruits and vegetables. The flavor possibilities are limitless when incorporating fresh herbs, nut oils and sea salt along with special food preparation techniques to bring out the wonderful flavors of the uncooked foods. And the potential health benefits are many: a daily faire loaded with key nutrients particularly fiber, vitamin C, potassium and water. 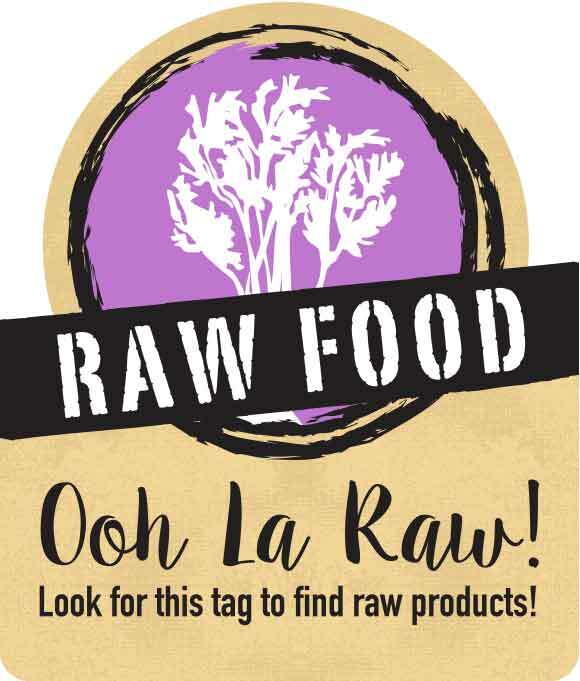 Following a raw foods diet entails eating only uncooked and unprocessed foods including a variety of fruits, vegetables, seeds, nuts, unpasteurized dairy, raw meats and seafood. As with most rules, there are a few exceptions to the uncooked and unprocessed guidelines. Foods that are minimally processed and never heated above 115-120 degrees such as sprouts of beans or seeds, and cheese made from raw milk are true to the raw food diet. Fermented vegetables and dairy (raw of course!) such as sauerkraut, kombucha, yogurt and kefir are also welcome when following a raw diet. A raw food diet that incorporates many fruits and vegetables provides ample fiber, vitamins, minerals and water. Since most protein sources must be cooked for reasons of both food safety and digestibility, this diet may be low on protein and vitamin B12, both of which are typically found in animal products. When following the raw food diet, be sure to consume the recommended daily amount of protein. Aim to consume 0.4 grams of protein per pound of body weight, or roughly 50 to 80 grams of protein daily! 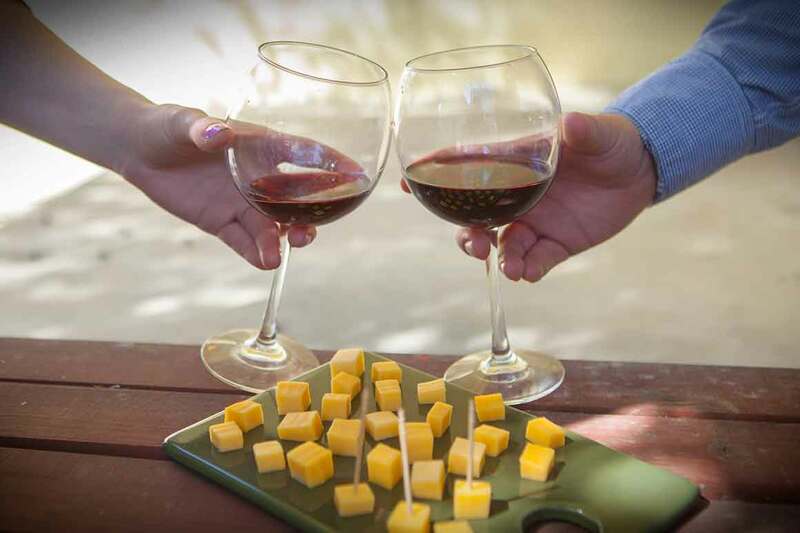 For good times and great wines, join us at one of our Friday night wine tasting events, 5 p.m. – 7 p.m. at these Nugget Markets locations. The cost is just $5/flight and attendees must be at least 21 years of age. 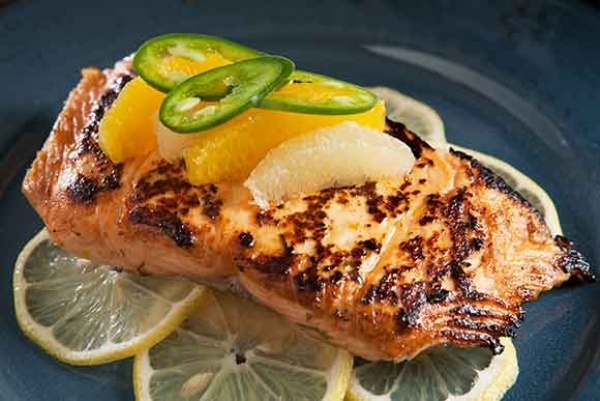 Copper River Salmon is the ultimate fresh wild caught salmon, with an unrivaled flavor and melt-in-your-mouth texture! In stores for a limited time only, you can find fresh, wild-caught sockeye salmon fillets at an unbeatable price of $12.99/lb. this Saturday and Sunday. Prices valid June 3-9, 2015.